In case you haven’t noticed, I’m very magpie-like in my fashion purchases – bright and shiny items have a strong representation in my closet. And when I was at the most recent Gilt City Warehouse Sale, the oversized, mirrored buttons on this lovely little jacket immediately caught my eye. I’ve snapped up many a treasured piece at this sale in the past, but this Gucci number takes the cake. I love how it looks with the ruffly neck and sleeves of this vintage blouse poking out underneath! That jacket is PERFECT on you, lady! What a good find! I so wish I lived closer and could go to this sale with you. Perfection! Oh my goodness! This jacket is perfect. Happy Friday! 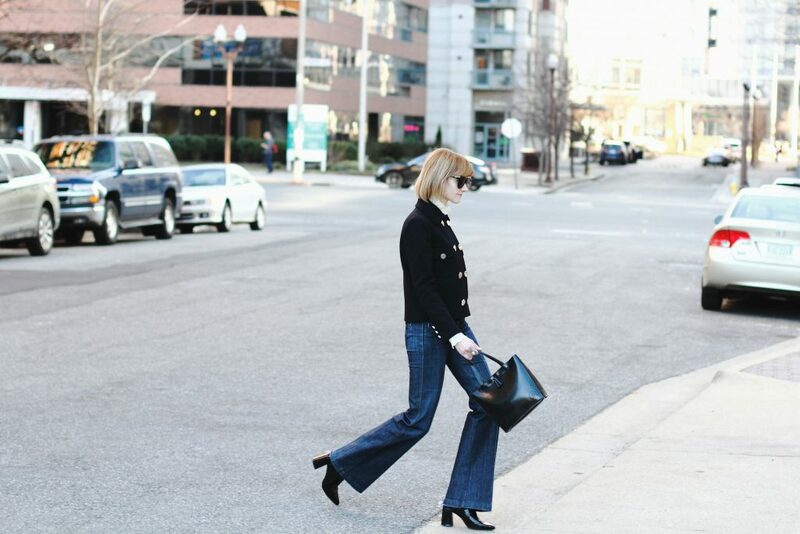 Adore this look with the denim flares! Charming look! very classy! i like your pants a lot! love the jacket! Such a good find! That jacket is a great find. Love the buttons. Such a gorgeous look!! I love it! Ah you look so crisp and chic as usual! 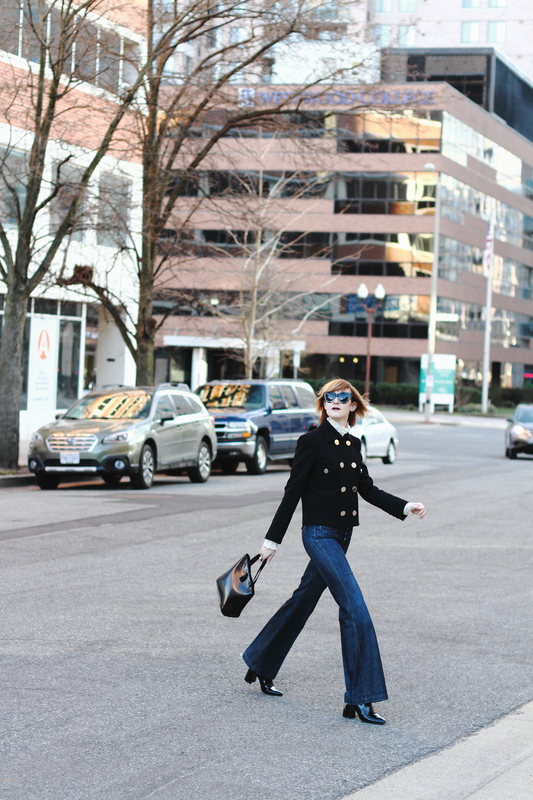 I love a black jacket and jeans combo – so effortless and chic!